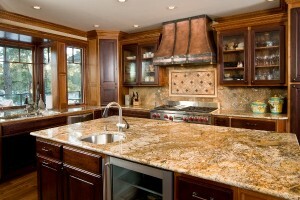 Kitchen renovations are one of the most exciting improvements you can make to your Mooresville, NC home. We want the opportunity to WOW you with kitchen renovations designed to not only modernize your home, but also add both financial value and functionality. Mooresville kitchen renovations can be as minor as changing only the countertops to altering the entire layout of the kitchen and replacing all the appliances. You have plenty of options available that can be fine-tuned to suit your family’s needs and budget. At Carolinas Custom Kitchen & Bath Center, we are happy to walk you through all your options and design your kitchen renovations specific to you and your needs. Kitchen renovations are one of the most exciting improvements you can make to your home. Although it is a substantial investment, it will pay off in the long run, as remodeling a kitchen is rated as one of the highest return-on-investment home improvement choices. Not only will your house sell for more down the road, but it will also attract more buyers than a house with an outdated kitchen. Buyers often judge an entire house by the kitchen, so performing kitchen renovations could easily steer them away from other areas of the home that may also need some attention. If you have a number of areas that need a little TLC, starting with kitchen renovations is a wise decision. With a variety of materials, styles and manufacturers for both countertops and cabinetry, we offer options for kitchen renovations that can give you the kitchen of your dreams. Elegance and quality of materials and workmanship, along with our designers’ expertise, will make your kitchen an enjoyable place to spend time and an ideal selling point for your home down the road.